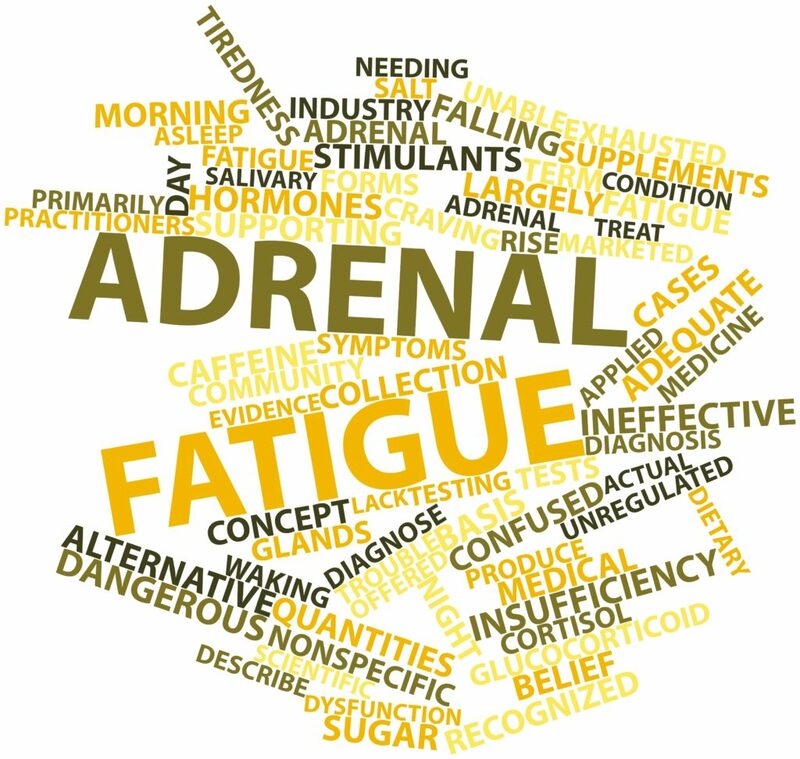 Adrenal fatigue and adrenal dysfunction describe a collection of nonspecific symptoms like body aches, fatigue, nervousness, sleep disturbances and digestive problems. Many suffer from the condition unknowingly. Your adrenal glands produce a variety of hormones that are vital to healthy living. The medical term adrenal insufficiency refers to inadequate production of one or more of these hormones as a result of an underlying disease. Learn how to identify troubling symptoms and what Balanced Well-Being Healthcare can help you do about it! Approximately 66 percent of the world population suffer from adrenal fatigue in one of its varying forms. Unless you are having problems with your adrenal glands, chances are you probably don’t know much about what they do. Your adrenal glands are tasked with producing a variety of hormones in your body that keep you healthy. When your adrenal glands are compromised hormone production can be affected. This is also known as adrenal dysfunction or adrenal fatigue. Patients can experience many symptoms such as chronic fatigue, sleep disorders, headaches, weight problems and more that are related to unhealthy adrenal gland functioning. The good news is that this is a treatable condition! Intervention with our expert staff can help improve your adrenal function! When testing for adrenal imbalance, we examine the levels of the stress hormone cortisol in your body. Cortisol levels fluctuate throughout the day, so to get accurate results, we evaluate levels at different points during a 24-hour time period. Saliva testing is the most convenient and accurate way to establish your current cortisol levels and the current state of your adrenal glands.Sometimes cortisol levels will be evaluated through blood testing and medication given to stimulate the adrenal glands to assess adrenal reserve will be performed. Urine collections may also be used. Patients are often surprised to learn how much their diet is contributing to their symptoms. A diet high in sugar, caffeine and low in quality, whole foods augments bodily stress while robbing your adrenals of the nutrients they require for daily functioning. Poor diet choices can lead to adrenal fatigue and are made worse when additional stress comes into play. Conversely, good nutrition protects and sustains adrenal function during stress. When adrenal fatigue exists, a healthy diet, in conjunction with targeted nutritional supplementation, restores and maintains healthy adrenal function. Establish proper nutritional habits you need for good health by working with our nutritionist during treatment. Combat Your Adrenal Dysfunction Today! Learn how we can help diagnose adrenal insufficiency and get you back to the activities and energy levels you desire. Living with the life-altering effects of adrenal dysfunction doesn’t have to be your life story. Get the testing and treatment you need today! Call 970-631-8286 and to schedule an appointment to achieve total body wellness.